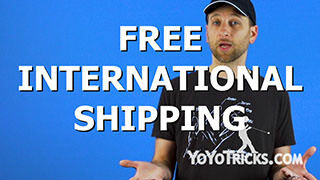 Stay up to date with the latest yoyo news from YoYoTricks.com, this week we answer your questions from comments on previous videos. 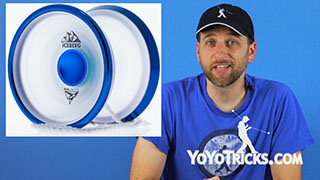 Jake also introduces the YoyoFactory Plus, and Chris announces the next Instagram Contest. Touching. 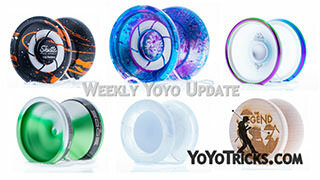 Our next story marks the beginning of a new video series, the Weekly Yoyo Update. That’s great Chris. And how will this new broadcast be different from the Monday Morning Update. 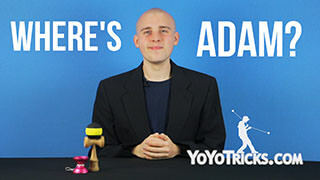 We’ll be calling it by a different name, Adam. Thank you Chris. 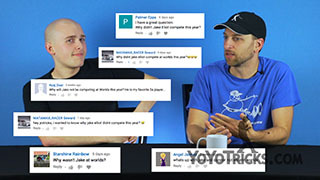 Now we move on to your questions from our previous videos. Chris. Thank you Adam. This first one is from Joseph Copeland. 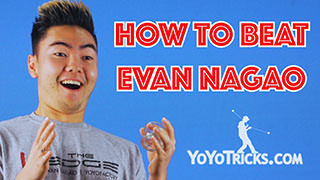 He asks: Do you sponsor yoyoers? The next question is from Javier Ramos: What is the next combo series going to be? We have been talking about this, and we decided that first we wanted to see how you guys have been doing with the two series we have already posted. Stay tuned to the end of this broadcast for more details. Intriguing. 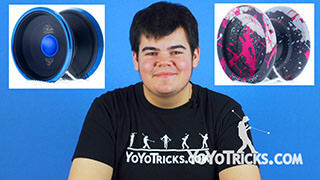 This next question is from the youtuber ZamZam who asks How do I get inspiration/motivation to make new yoyo tricks and not feel put down when I can’t get any tricks right? You’re always making up new tricks Chris, why don’t you field this one? Thank you Adam. Whenever I feel a lack of motivation in my yoyoing, I love experimenting with the other styles of yo-yoing for a few days and by the time I get back to 1A I feel refreshed and ready to make new tricks. Thank you Adam. 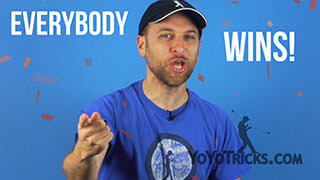 World of Gavin wants to know, Who is the funniest guy on the YoTricks team. 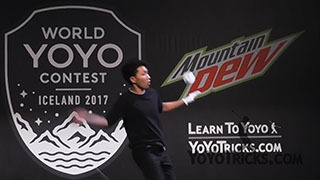 Mr. Enzyo wants to know, What do you think about Panda’s doing yoyo. I think he just wants you to say it would be Pandamonium. Chris: No like, PANDA – monium. Panda. Let’s move on. 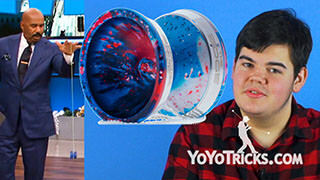 Our final question is from Erick0SX, What are those yoyos on the table with the black X on them? 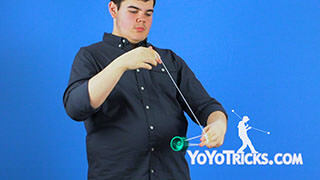 I take it he is referring to our previous MMU when Jake was showing us yoyos at the Indianapolis Pop Con. 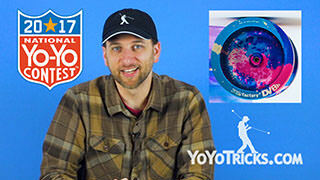 To answer this question, we now turn to our yoyo forecaster, Jake Elliott. 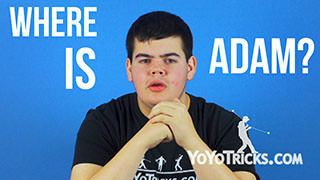 Well Adam, it’s not an X, in fact, it’s the Plus Sign; That’s right, we’ve just /added/ the all new Yoyofactory Plus to the store. 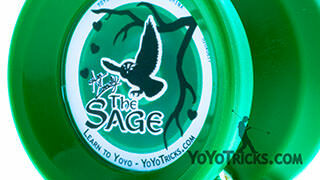 What can you tell us about this yoyo, Jake? Well, it’s simple math, folks. 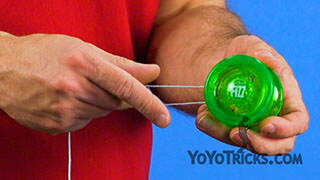 The Plus is an extremely affordable yoyo at $4.99. 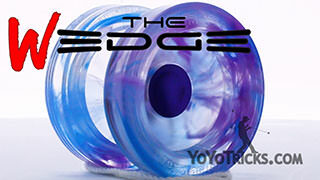 YoYoFactory achieved this by using a plastic transaxle system instead of a ball bearing. 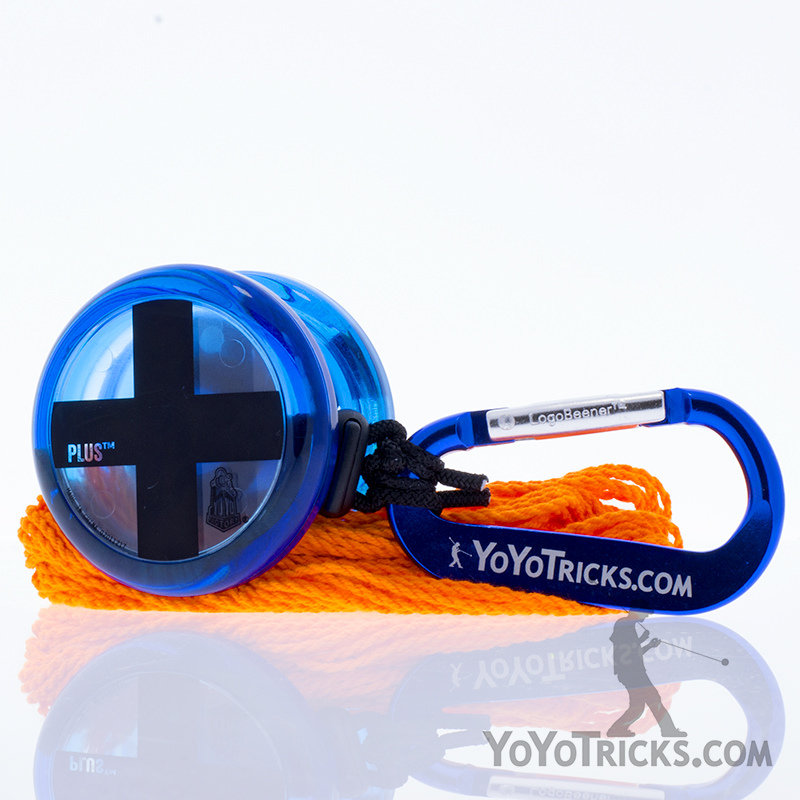 Another benefit, /minus/ changing the string this yoyo is practically maintenance free. So what kind of player is this yoyo for? New players can /count/ on the Plus for all the basic tricks like Rock the Baby, Dizzy Baby, and even some basic string trick mounts. What about more advanced players? 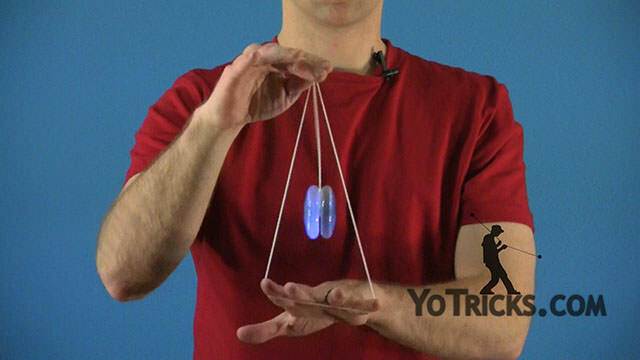 It is an inexpensive yoyo to give away to friends who may want to try yo-yoing, of course, but it also has the perfect level of response. 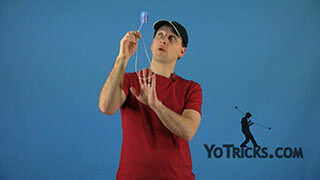 It allows a little slack before it returns so you can perfect your whip techniques. It all /adds/ up to a whole lot of fun /Addam/! Thank you Jake. I see that Chris has left the front desk, which must mean he has news about our upcoming contest. Chris. Thanks Adam. 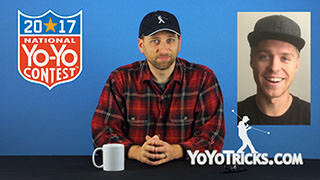 Well folks, it’s another week, and it’s time for another contest! 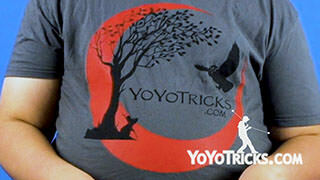 The prize this week is a $10 gift certificate to YoYoTricks.com. 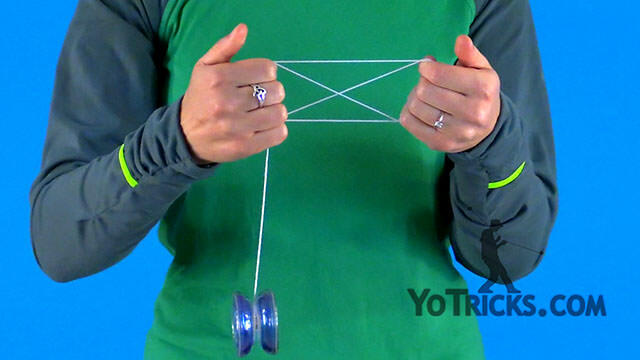 For this week’s contest, we want you to show us your Ultimate Braintwister Combo. 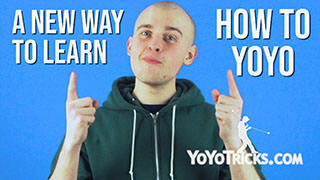 If you don’t know what that means, go check out our Braintwister Combo Series featuring yours truly. Feel free to do just a basic Braintwister, but remember, longer combos score more points. 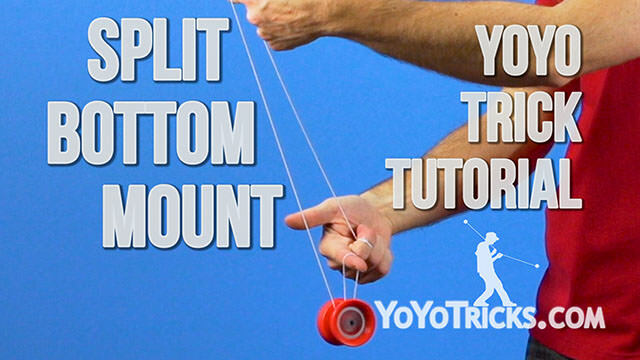 No Split Bottom mounts – just Braintwister Combos. While the winner is chosen at random, our randomizer will know if your Braintwister combo contains a Split Bottom Mount, so don’t do it. Seriously. You don’t want to upset the randomizer. Trust me. 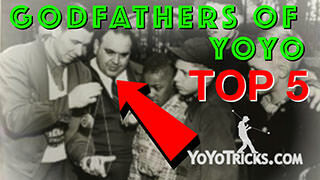 So for this week’s contest, you are going to use the hashtag #YoTricksContestBTW. 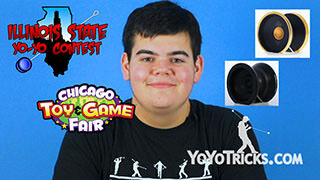 For the official contest rules, go to https://yoyotricks.com/instacontest/. The winner of last week’s contest was @evans.jonathan87, with an awesome offstring Jamaican Flag. Make sure to check your instagram DMs for your prize, and congratulations. Stay tuned at the end of this broadcast for some of our favorite entries. 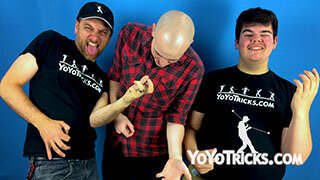 This is Christopher Chunn signing off the first ever Weekly Yoyo Update, reminding you, it takes one to throw one. We’ll see you next time.